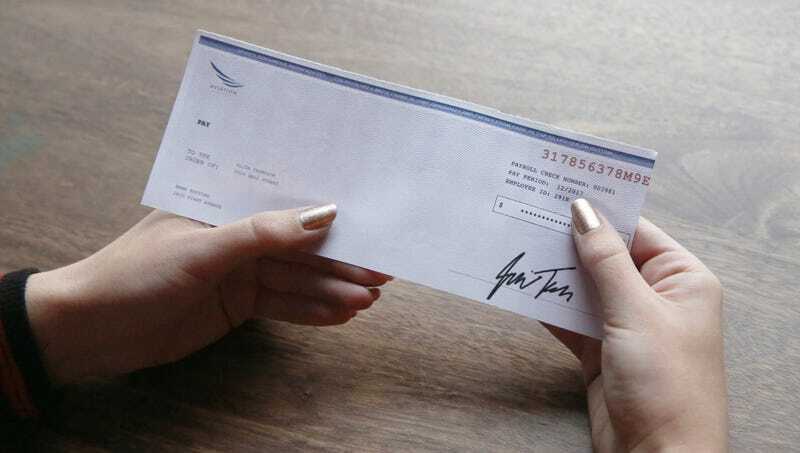 AMARILLO, TX—The sufficiency of its funds mysteriously defying any rational explanation, a miracle paycheck received a week ago by local woman Jennifer Callahan, 27, somehow lasted seven whole days, according to sources. “It was just one check, but every day when I went to look, there was still some money left,” a visibly awestruck Callahan said of the single deposit to her checking account, which against all odds allowed her to buy groceries, pay her electric bill, and put enough gas in her car to drive to work, a circumstance so extraordinary it suggested a divine intervention had occurred. “It’s truly a miracle. There’s no other explanation. That money should have run out days ago.” Callahan later confirmed that while the paycheck was indeed miraculous, its funds were still depleted a full week before her next paycheck was set to arrive.